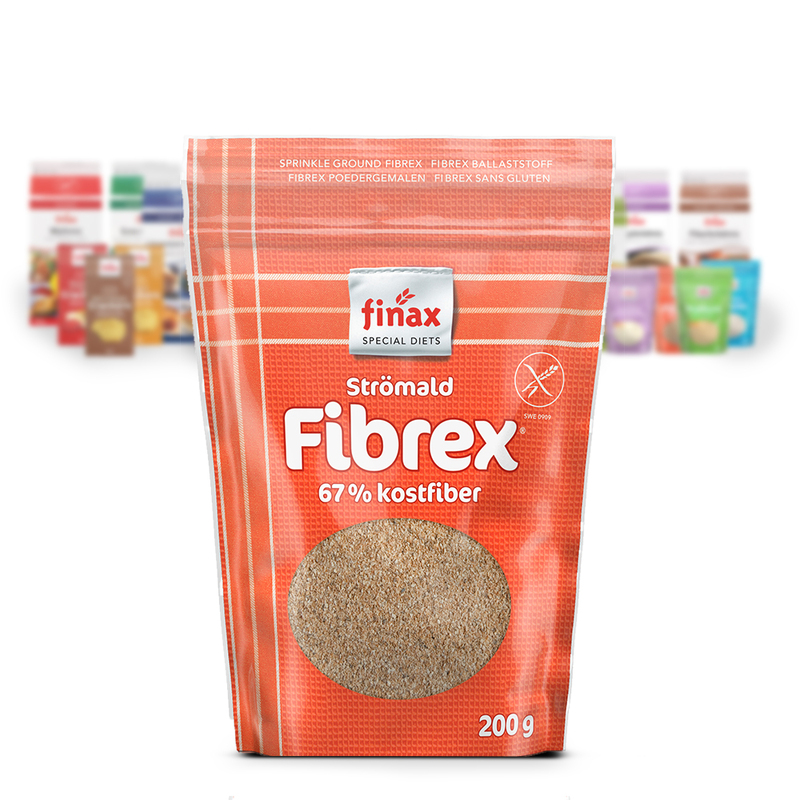 Fibrex is a gluten free dried fiber product made from sugar beets. It has no flavor and is used separately for gluten free baking as makes the bread more moist and keeps your bread fresh for longer. Fibrex is also ideally suited for cooking when you want to add healthy fibers to e.g. minced meat dishes, soups and batter. Directions: add approx.. 3 tbsp. Finax Fibrex and 1dl extra water per 450 grams of flour.